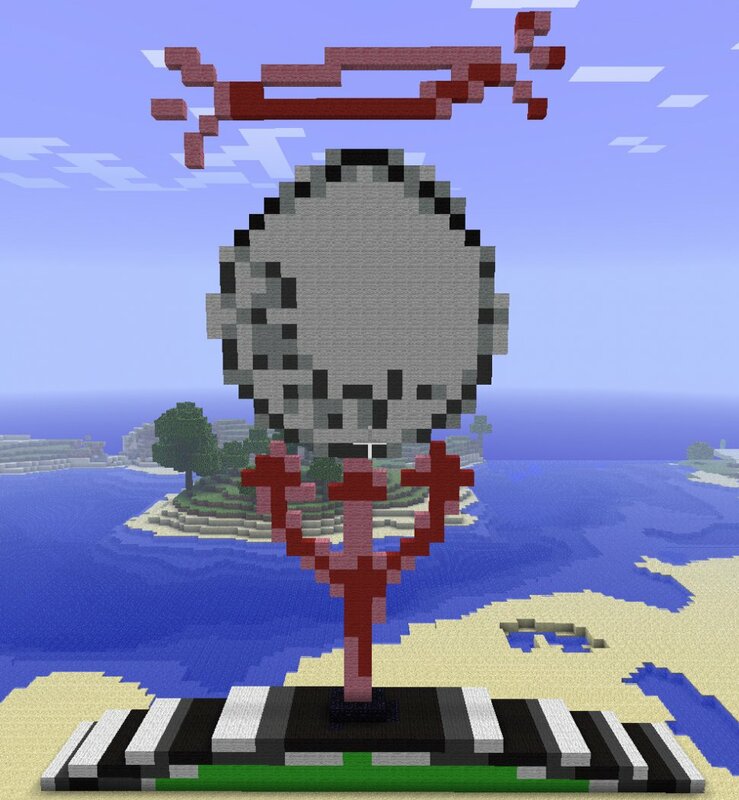 If you have children, or you’re into sci-fi-ish video games, you may have heard of Minecraft. It began as a game where you build shelter’s to protect yourself from monsters. It has grown way beyond that into many subcultures of builders (like me), fighters, traditionalist, and the list goes on. So what does this have to do with PurgatoryGC? 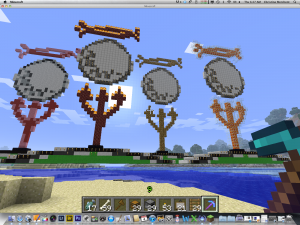 Last winter, I was playing Minecraft with the boys and got the bright idea to build the PGC logo. So if you were to visit our little Minecraft world, you would walk, or fly around this huge PGC logo, made it of various color of yarn. But that wasn’t enough for me. 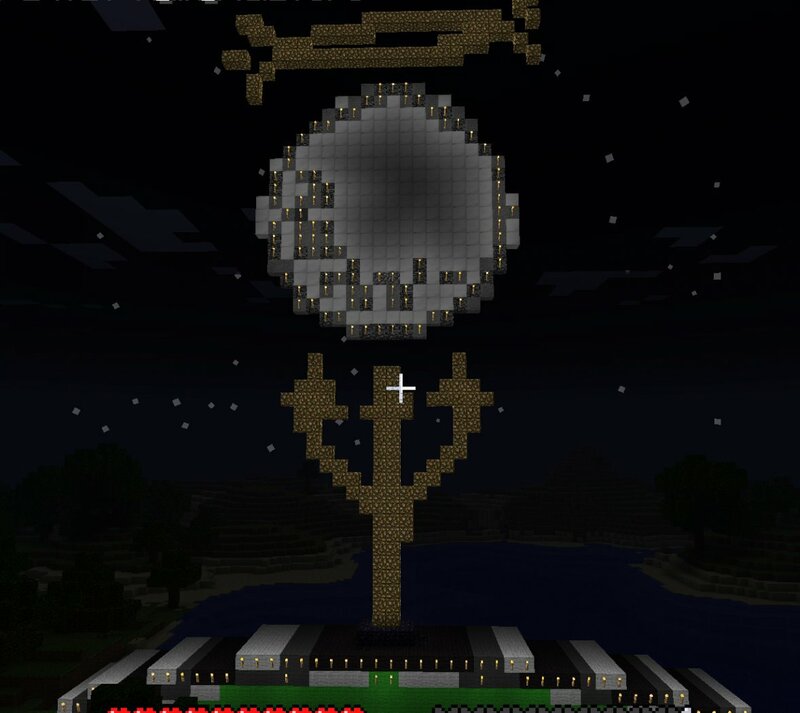 I thought our logo should look nice at night, because the sun sets in Minecraft, and they don’t have electric lights. 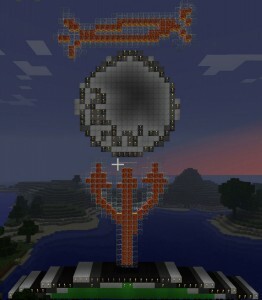 Next I decide to build the trident in glowstone, which, you guessed it, glows at night. 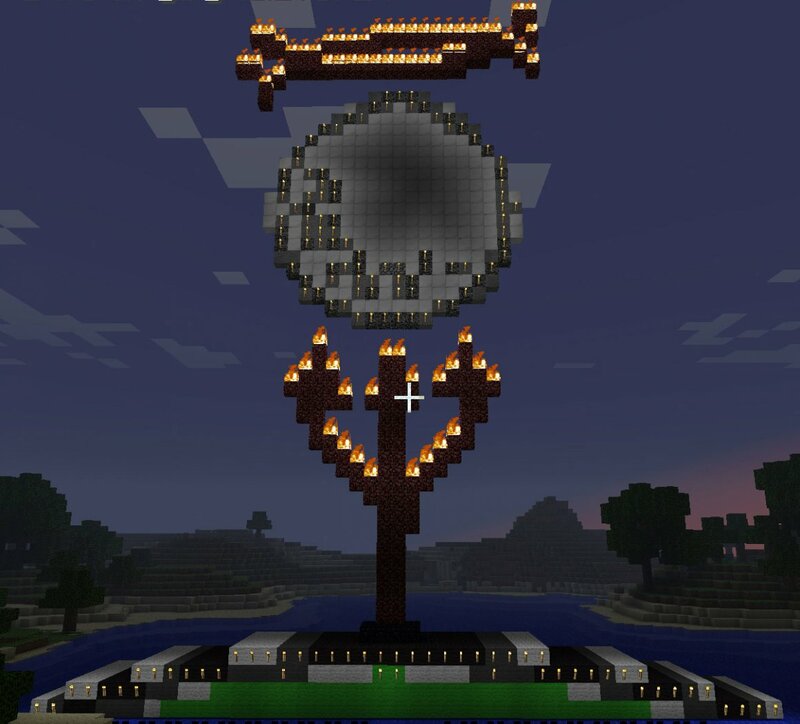 Next I build one with netherrack, which you can light, as seen below. And of course, being the overachiever (a.k.a. nerd) I couldn’t leave well enough alone. I had to experiment with lava. Now if you’ve never played Minecraft, you wouldn’t know that lava runs amok and destroys everything it touches, and there are whole Minecraft planets where it’s not allowed. Yes, yes, yes, but I was careful! Famous last words. Well you can’t build something with lava, because it’s well lava, a liquid, so it has to be contained in something to have a form, something that doesn’t burn. I decide to build the trident in yarn, incase it in glass, and then put lava in the top brick on top of the yarn, assuming it will burn all the yarn out of the glass. Well, of course it does not. It only burns a few bricks of yarn. So I break all the yarn out of the glass, replace the glass, and build the yarn golf ball on top. Enclose the glass trident, and place lava in the side. Yes the trident fills up, but now the blasted yarn golf ball catches on fire from the lava that is enclosed in the glass and completely burns up! Yes, I know I’m a dork. But I keep trying. Now I replace the yarn golf ball with a golf ball made of various kinds of stone. Yes, it seems obvious now because they don’t catch on fire, but no, I didn’t think of it in the beginning. Now I finally have my totally cool lava filled PGC logo. If you would like to download these logo for your Minecraft planet, you can find them at http://www.mcschematics.com/index.php?topic=3226.msg22432#msg22432, although I’m pretty sure golf and Minecraft are mutually exclusive, with me and my son as an exception. But you never know, this winter, you too may be getting your video gaming going and just be dying to see that lava filled PGC logo!